Sensible snacking is something that I will always promote. If you are wanting to lose weight or make smart food choices I can't emphasise enough how important it is to be prepared and always have a small treat stashed somewhere when you know temptation will hit. A well stocked handbag or desk drawer does wonders for keeping your nose out of the vending machine! Simon and I are both careful to monitor what we eat Monday to Friday. Simon in particular is very into having a sweet yet sensible treat in the afternoon. So when Natural Balance Food got in touch to ask if I'd like to test out some Nakd bars I knew he'd be the perfect person to try them out. We were sent a case of 18 bars in a range of really yummy sounding flavours including Cocoa Orange, Gingerbread, Rhubarb & Custard, Cocoa Mint and Pecan Pie. 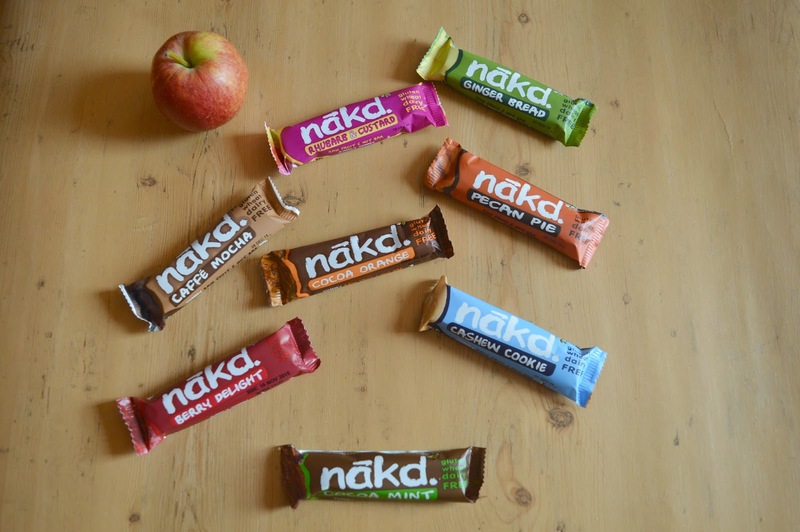 The Nakd bars tick so many boxes - they are made with 100% natural ingredients, many of them count towards your "5 a day" and they're gluten and dairy free. Sounds too good to be true right? Simon is pretty fussy when it comes to his treats so I was interested to see if a healthier snack would mean a compromise on taste. I knew exactly what Simon would reach for first, Cocoa Orange! He is OBSESSED with anything that involves chocolate and orange. Unlike his usual chocolate orange treats though the Nakd Bars contain lovely rich cocoa. I'm very pleased that he enjoyed it just as much as his usual chocolate bar! Simon was pretty surprised at the consistency of the bars, he's used to very light cereal bars and the Nakd bars consist of raw fruit and nuts packed tightly together - making them far more satisfying than a lot of his previous office snacks. Next up was the Rhubarb & Custard, swiftly followed by the Berry Delight - he declared both absolutely delicious. The Cocoa Mint came out on a day trip and Simon proudly pulled it out of his "man bag" when he got a little peckish mid morning. It's great that Nakd bars appeal to both men and women and I love that these little bars satisfy even the hungriest of men! Gingerbread came with us when we were away for a weekend and Simon enjoyed tucking in to it with a cup of tea in our hotel room. It's always a good idea to be prepared with snacks when you're staying away from home, there was certainly nothing healthy to be found near our hotel. 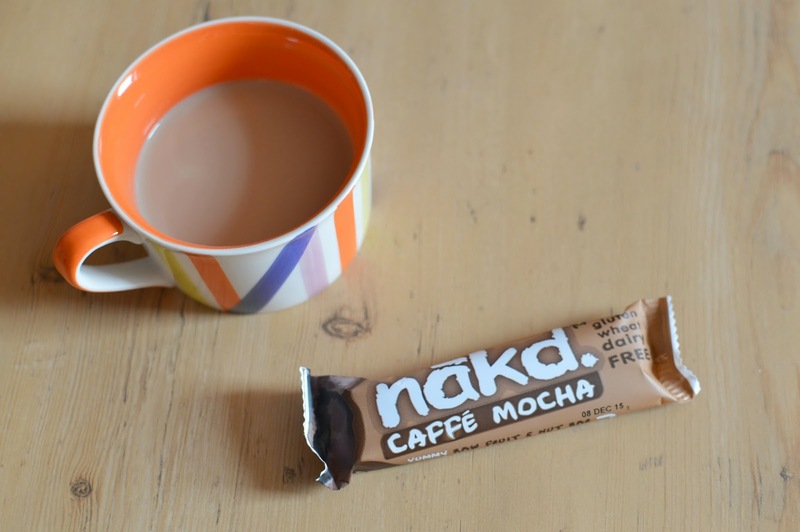 The Caffe Mocha bar was a good substitution for the milky latte that Simon is often tempted by and he found himself easily distracted from the temptation with his delicious Nakd alternative. The verdict from my man is a definite thumbs up! He's already been eyeing up what other Nakd bars are available and is keen to replace his stash. 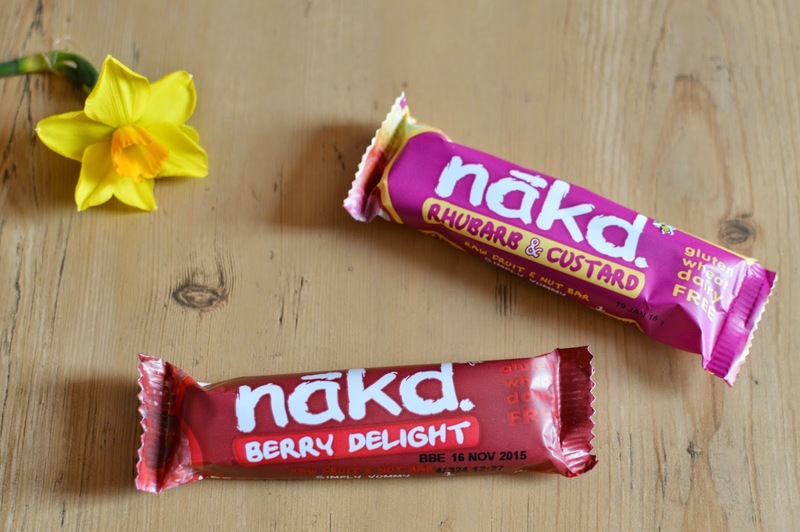 Have you gone Nakd yet? 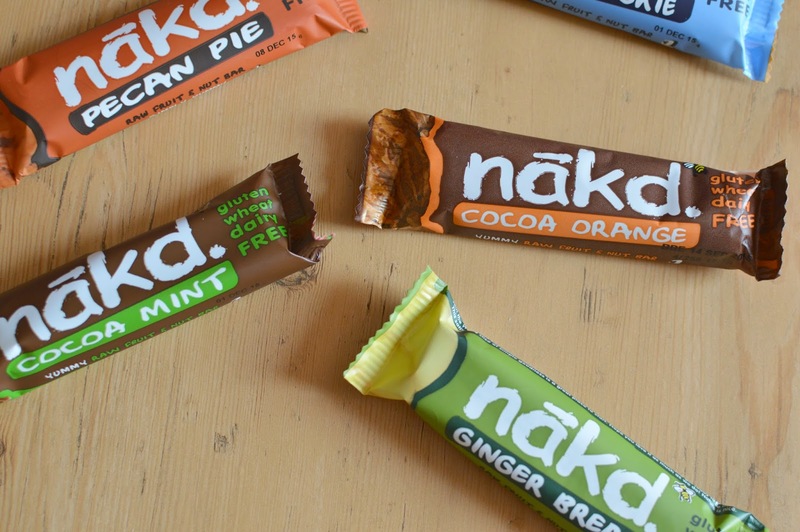 The Nakd bars were sent to us for review purposes .. but all thoughts are our own! They are yummy! Gah, I missed out big time on that one, I love Nakd bars, the berry one and the Rhubarb and Custard ones are my favourite. MMmm I agree with Simon - you can't beat a chocolate-orange combo! I love these bars, they're sweet but you don't feel too guilty eating them either! I need these in my life, I have such a sweet tooth and often reach for the chocolate in the afternoon, instead of something healthy. You jammy jammy thing getting sent a case of Nakd bars! I adore them so much, but can't have them all that often because they're so expensive. Only tried a few flavours, but I do have my eye on the others. I'm like Simon with being obsessed with anything chocolate orange flavoured, it's seriously the best combination ever. Haven't tried these yet bug you had me at rhubarb and custard flavour! Oh gosh I really love Nakd bars! I adore Pecan Pie, with Cashew Cookie a close second. My ultimate favourite has to be the new Bakewell Tart flavour though! I grab them when I spot them. I also can't wait to try their new 'nibble\ packets. Somehow I don't feel as guilty eating these after lunch / before the gym!